Gambia’s President Adama Barrow has named Fatoumata Tambajang as his vice president. Mrs. Tambang, a former UN official and health minister is the chair of the coalition that defeated erstwhile President Yahya Jammeh in the December 1 presidential polls. 1. Tambajang once served as Minister of Health under former President Yahya Jammeh. 2. Tambajang is a prominent pro-democracy activist. She was the driving force behind forming a coalition of opposition parties that rallied behind Barrow during the December 1 presidential election. 4. Tambajng led mediation efforts during talks to unite the opposition. The efforts led to a coalition of eight opposition groups led by Adama Barrow, the country’s new president. 5. She has supported calls for the Gambia’s return to the Commonwealth and International Criminal Court, institutions that Jammeh unilaterally withdrew the Gambia from. 6. Fatoumatta Tambajang will be 68 years of age on the 22nd of October this year. She was born in 1948. 7. 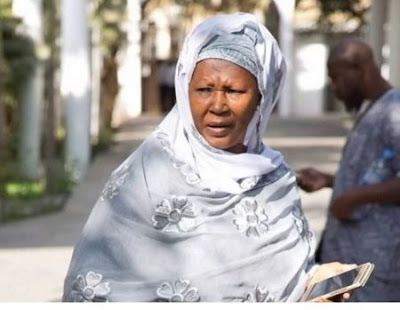 Her appointment has been generating a lot of controversies over age issues in The Gambia. 8. Tambajang worked in war-torn regions where she had been held hostage. 9. Former Adviser on Women and Children's Affairs to the First President of Gambia.